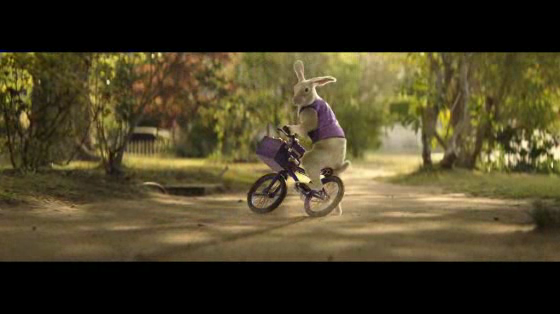 This Sunday, Cadbury will release its new Easter TVC, developed by Saatchi & Saatchi, Sydney, which will bring the Cadbury Easter Bunny to life. In the latest chapter of Cadbury's Joyville story, the secret behind the true Easter Bunny is finally revealed, once and for all - that he comes from Joyville. Ben Wicks, general manager marketing (Chocolate) Kraft Foods, hopes the exciting new TVC will deliver the magic of Easter to Australian homes. Says Wicks: "Easter is a magical time of giving, and the Easter Bunny has been symbolic of this joyful event for generations of Australians. We hope that this playful journey with the Cadbury Easter Bunny as he delivers his Cadbury Easter treats will bring a smile to many faces, and a sense of anticipation."